It is common for an high calcium level to go undetected on an unrelated routine blood work study. Common responses include “Do not worry about it, we’ll re-check it again later” or “Do not drink too much milk.” But the next blood test for calcium shows the same findings - a higher than normal calcium level. The majority of these patients have no “specific” complaints, and they feel that it is okay to just follow it. But the truth is that they do have complaints, but they do not know that those complaints are related to an elevated blood calcium level. The most common cause of hypercalcemia is primary hyperparathyroidism. There are other reasons for hypercalcemia, including a malignancy-associated elevation of the blood calcium level. To determine the cause of hypercalcemia, a blood parathyroid hormone (PTH) level should be checked. An elevation of the blood calcium level with the concurrent elevation of the blood parathyroid hormone (PTH) level is diagnostic for primary hyperparathyroidism, but it is very often missed and the patient's symptoms continue. 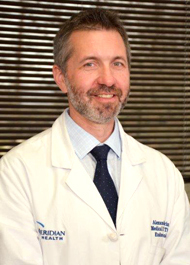 Read Expert Article on Meridian MOMTOURAGE by By Alexander Shifrin, M.D., FACS "Elevated Calcium Levels: Something to Worry About? " They include weakness, fatigue, depression, memory problems, muscle aches, bone pains, constipation and frequent urination. With more severe diseases, increased calcium excretion in the urine may lead to the development of kidney stones, and increased bone resorption will result in osteoporosis. A person may experience loss of appetite, nausea, vomiting, impaired thinking, memory problems and even confusion to the point of psychosis. It can result in admission to the hospital, and in the most extreme cases "hypercalcemic crisis" may develop and the patient may become comatose. It has been reported that up to 30% of patients with primary hyperparathyroidism actually have significant symptoms of depression and one-third of those 30% are reported to have suicidal thoughts. An abnormally elevated blood calcium level can damage every organ in the body over time, such as vessels, heart, brain, kidneys and so on. Only a physician that is an expert in treating patients with parathyroid diseases (such as an endocrinologist or an endocrine surgeon) can determine which patients will require surgery and which will not. For example, all patients with biochemically confirmed primary hyperparathyroidism who have developed complications from their disease, such as kidney stones, fractures, sever psychosis, and "hypercalcemic crisis" should undergo surgical treatment. In addition, the recent guidelines for the management of so called “asymptomatic” primary hyperparathyroidism have summarized specific criteria for surgical management of this disease in those patients who have not developed above mentioned complications considered to be “asymptomatic." For example, all patients who have primary hyperparathyroidism who are younger than 50 years of age will need surgery regardless of whether or not they have symptoms, due to the risk of development of complications and the progression of their disease in their lifespan. Other indications for surgery rather than observation include significant elevation of serum calcium level, worsening of renal function and development of osteoporosis. There are four parathyroid glands in our body. They are very small, about one-fifth of an inch, and they are located on or behind the thyroid gland in the neck. Parathyroid glands have sensors which detect the amount of calcium in the bloodstream. They function normally to regulate calcium and phosphorus levels by secreting parathyroid hormone (PTH). In 85% of the patients with primary hyperparathyroidism only one parathyroid gland is diseased, this is called adenoma; in 15% of the patients, more than one parathyroid gland is abnormal, this is called hyperplasia. Surgery to remove the enlarged parathyroid gland (or glands) is curative it in 95 percent of patients. Research has proven that the chance of having a safe and successful parathyroid surgery depends on the experience of the surgeon. In general, a surgeon should do more than 50 parathyroid operations a year to be considered an expert. Patients should not be shy or embarrassed to ask how many of a certain type of operation a surgeon has done and what their personal complication rate is. The best surgical approach is by minimally invasive parathyroidectomy. It also can be done with a very small incision by using video-assisted approach, where surgery is performed through a very small (2 cm to less than 1 inch) incision by using a camera (such as laparoscopy). This surgery is usually done the same day, and the patient usually stays in the hospital for about three hours after the procedure. It can be done under a local anesthesia as well. There are no drains (tubes in the neck) involved and no stitches. The patient has only a small layer of the glue that stays for about 10 days. This technique makes the healing process faster and results in minimum scar formation.